The "Marble Church", dedicated to St. Margaret, was erected by Lady Willoughby de Broke in memory of her husband. She laid the foundation stone on the 24th July 1856; and the new church was consecrated by the Bishop of St. Asaph on the 23rd August 1860. 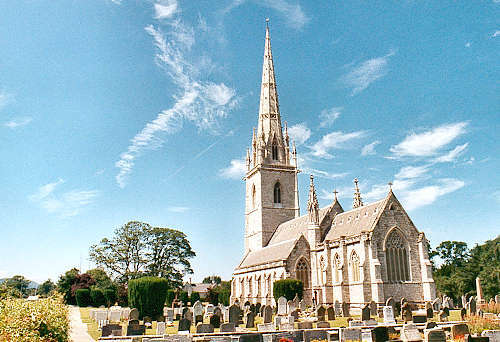 The new parish of Bodelwyddan was created on 3rd August 1860, from the townships of Bodelwyddan, Fuenol and Pengwern, which, until that date, had been part of the parish of St. Asaph. For family history information about the church and parish, visit the GENUKI Bodelwyddan page.